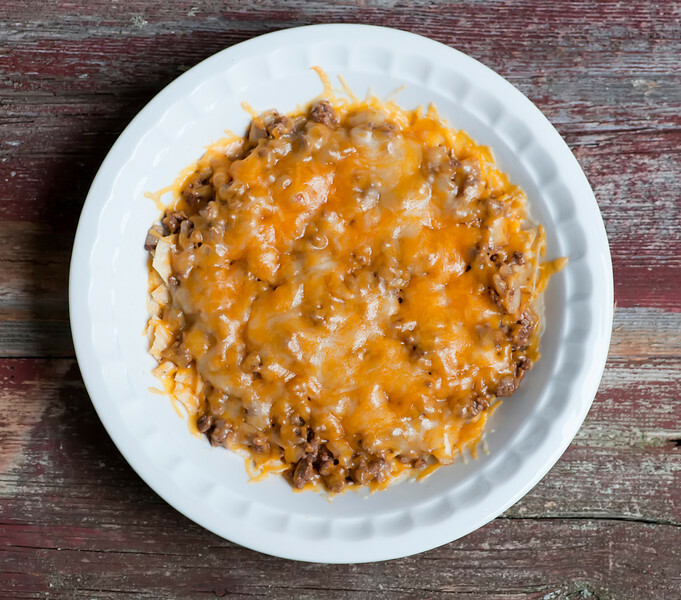 You are here: Home / dinner / beef / Taco Pie! 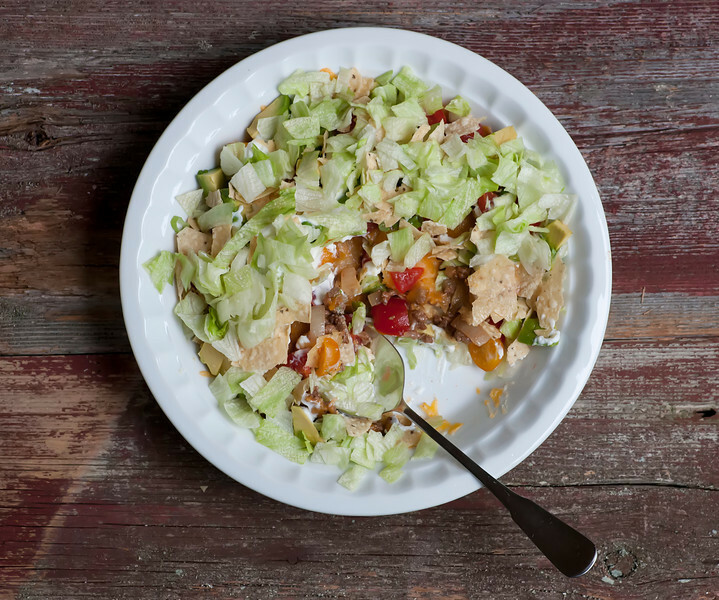 It’s just about Cinco de Mayo, the one day of the year that we are required to eat delicious Mexican food! 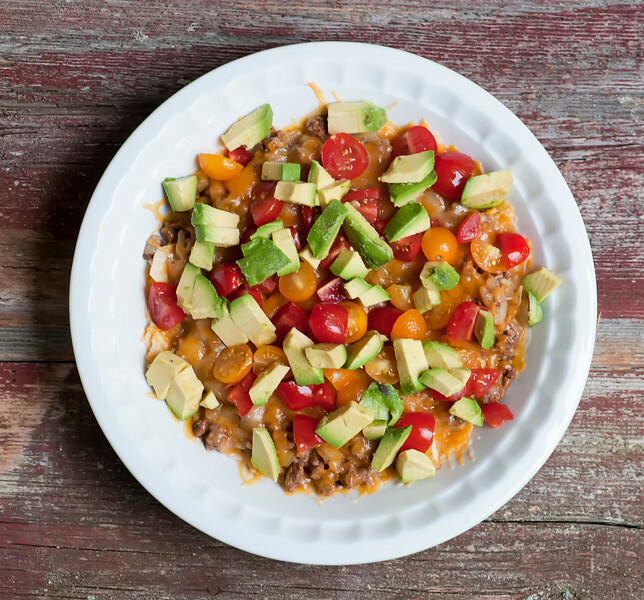 Or something that at least approximates Mexican food, which if I am going to be totally honest is the case with this taco pie. I’m not sure how authentic it is…probably 0%, if I had to put a number on it. But it’s delicious and spicy and involves taco sauce and tortilla chips and so I’m going with it. That’s what you get when an Irish girl does Mexican food. But let me repeat: delicious! Okay, here we go! 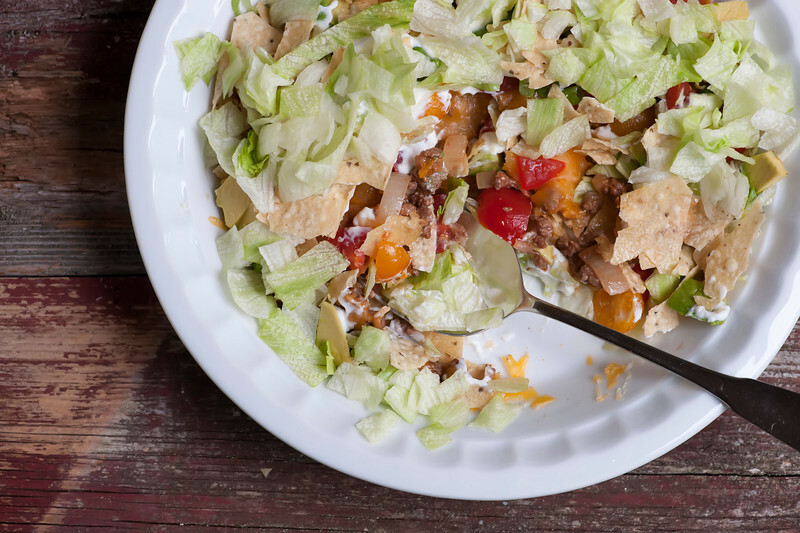 Take a handful of your favorite tortilla chips and crush them into bite sized pieces, and lay them on the bottom of a pie plate, please. 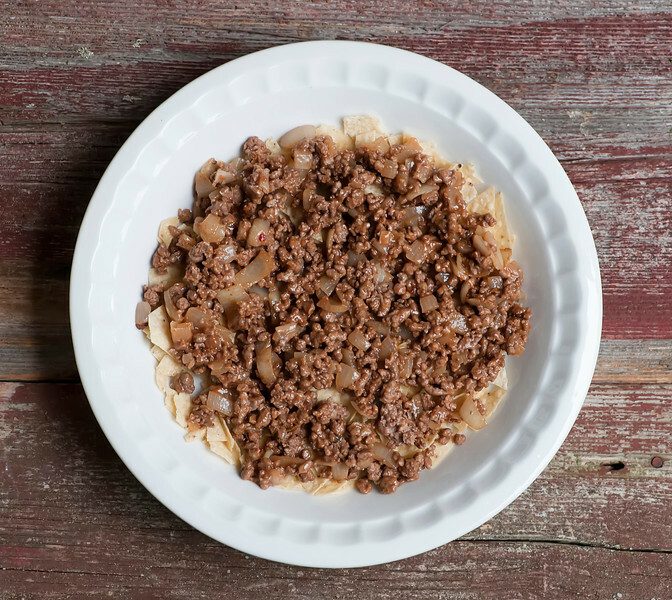 Now top the chips with some ground beef that you have sauteed with some chopped onion and some taco sauce. Here’s where you can control the spiciness…if you like things spicy, use the hotter version of the taco sauce. If you are a wimp like me, use the mild version. 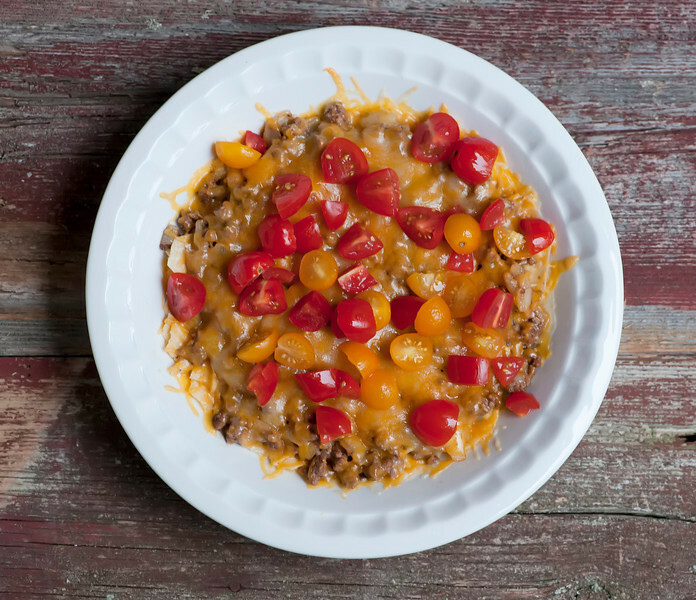 Now scatter on a generous amount of shredded cheddar and/or Jack cheese and bake it up for about 10 minutes until the cheese is nice and melty. ….and drizzle on a little sour cream thinned with milk. Or you can just drop small spoonfuls of sour cream on. I just like to drizzle whenever possible, personally. 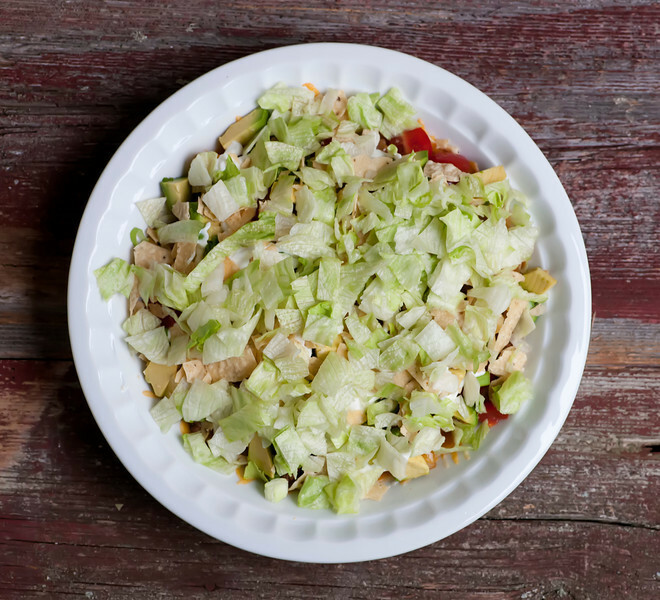 …and last but not least, top the whole thing off with some chopped iceberg lettuce. There is now nothing left to do except dig in! 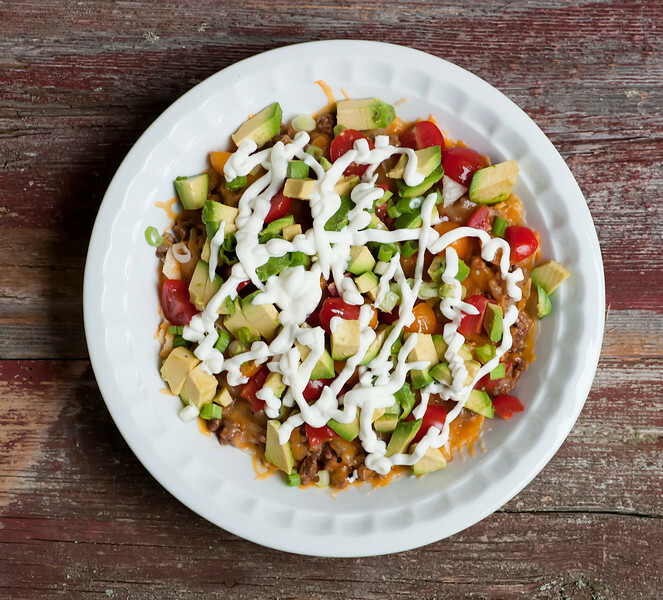 Make sure you scoop all the way to the bottom to get your fair share of all the various deliciousness we just layered together. Easy and 100% delicious! Happy Cinco de Mayo! 1/4 cup sour cream, thinned with a couple teaspoons of milk if you want to drizzle it! Heat a medium sized skillet over medium-high heat and saute the beef and onion together until the meat is no longer pink. Stir in the taco sauce and set aside. 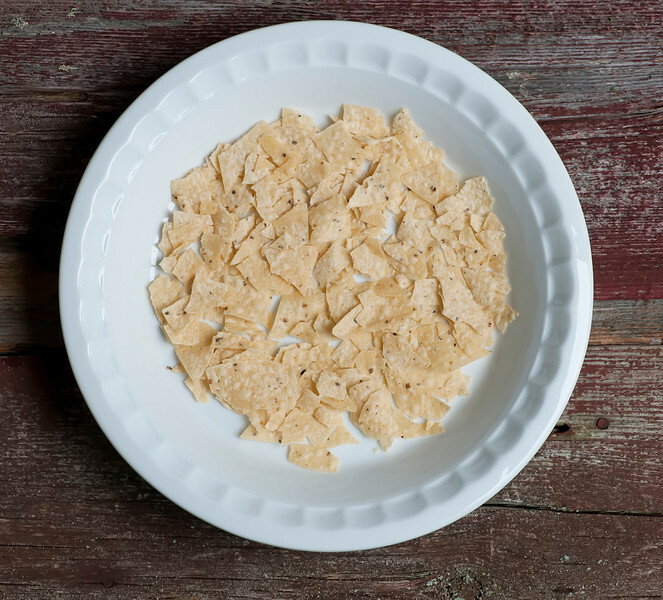 Scatter half of the tortilla chips in the bottom of an oven-proof pie plate and spoon the meat mixture over the chips. Bake until the cheese is melted, about 10 minutes. 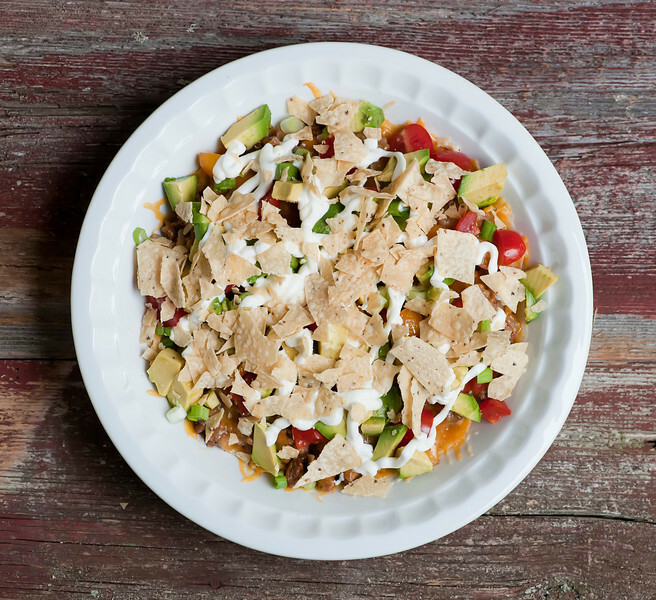 Remove from oven and top with tomatoes, then avocado, then sour cream, then remaining chips, then lettuce. Serve at once, scooping all the way to the bottom to get a bite of everything! Well I know what I’m having for lunch now!